There has been a lot of talk about skin care and sun protection. Sun rays can cause irreversible damaging effects on your skin and it is therefore important to wear a protective layer before stepping out. Using a good quality sunscreen is important part of a beauty regime. 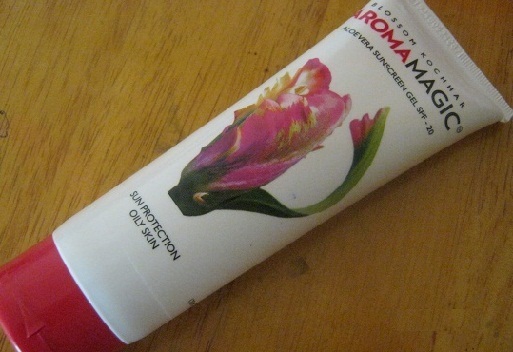 Here for your convenience, we discuss the best of Aroma Magic sunscreen lotions. This Aroma Magic sunscreen lotion is ideal to protect your delicate skin from the harshness of sun rays. 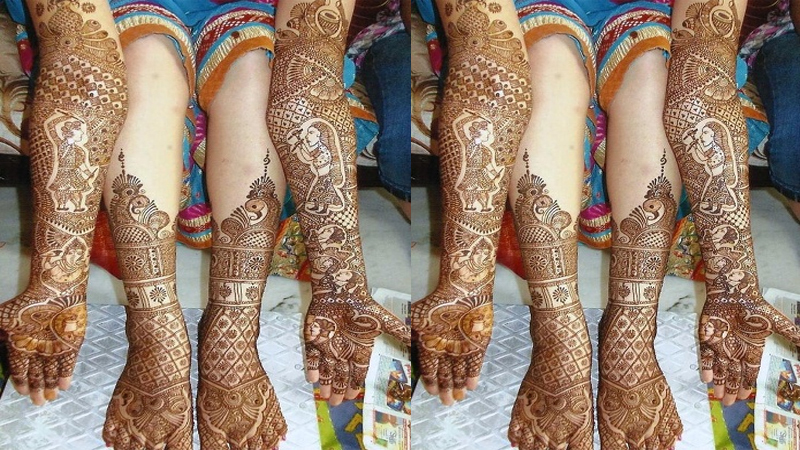 The product is 100% chemical free and without any artificial fragrance. The ultra light formulation used in this sunscreen guards the skin and also helps in reducing scars and other visible signs of aging. The cucumber leaves a very cooling effect on the skin. Get this now by paying INR 160 for a 50 ml bottle. 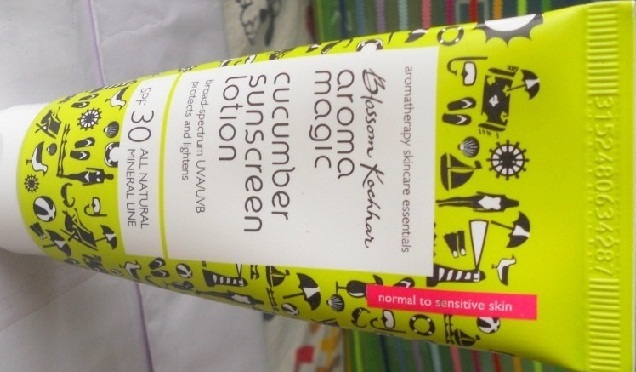 This one is a highly recommended Aroma Magic Sunscreen for oily skin. The spray is infused with water resistant formula that is easy to apply and effective provides sun protection. 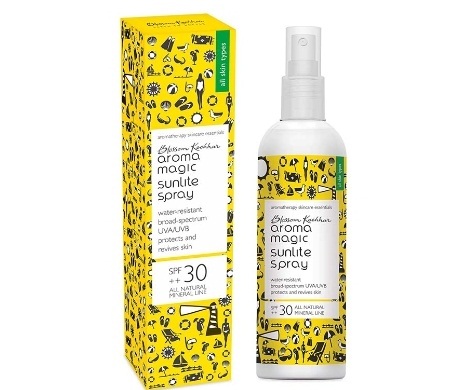 Available in spray form this sunlite spray can be re-applied if you feel sweaty or have to stay out for longer hours. This spray is priced at INR 750 for a 220 ml bottle. This is a very effective Aroma Magic sunscreen lotion that is absolutely chemical free and made only from natural extracts. This sunscreen is non greasy and forms a protective layer on your skin to shield from the damaging effects of UVA & UVB rays. 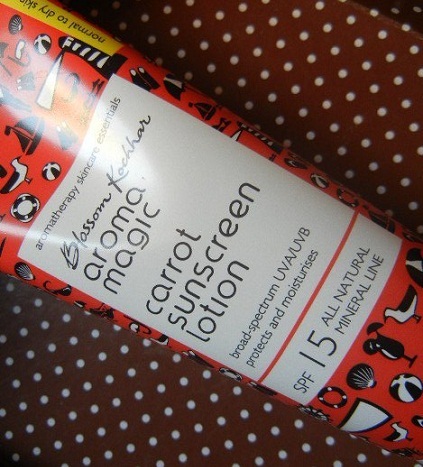 The essential oils present in this carrot sunscreen lotion also soothe the skin and cures acne. What’s more this product is reasonably priced at INR 130 for a 100 ml tube. Apply generously 15 minutes before stepping into the sun and stay carefree. 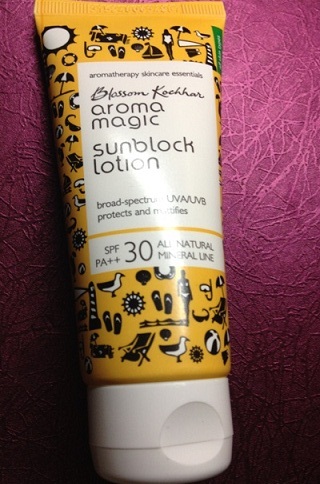 Made from natural ingredients, this Aroma Magic Sunblock Lotion with SPF 30 is priced at INR 180 for 50 ml tube. The product is devoid of any harmful chemicals and offers genuine aroma therapeutic benefits. Its mineral based formula gives complete protection from sun rays and also ensures overall good health of your skin. This Aroma Magic Sunscreen Cream SPF 50 is a must have if you are planning a day out swimming or sunbathing. The cream based, high SPF formula in this sunscreen ensures total protection by blocking out the damaging UVA & UVB rays. It is suitable for all skin types and can also be used on children. 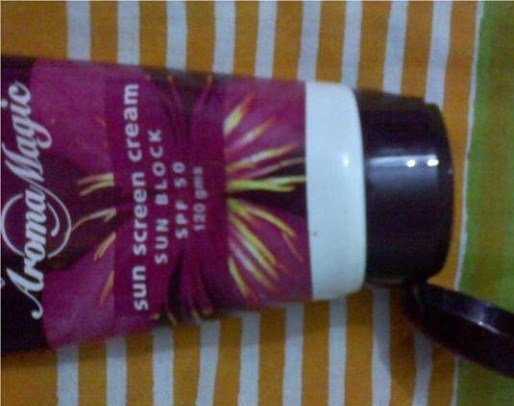 This sunscreen is marketed at INR 235 for 120 grams. This is an ideal Aroma Magic sunscreen for oily skin as it is gel based. Made from skin beneficial ingredients this Aroma Magic Aloe Vera Sunscreen Gel SPF 20 effectively guards against the damaging effect of sun rays. Besides providing full protection, it also nourishes the skin and prevents tanning and premature ageing. This sunscreen is marketed at INR 180 for 120 ml tube. This skin care product from Aroma Magic does not only moisturise the skin, its SPF 15 formula also offers protection from sun rays. It is absolutely free from any toxin ingredients or artificial color or fragrance. 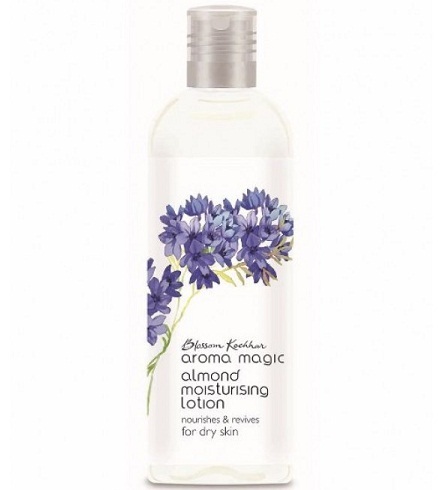 The Almond Moisturizing Lotion is priced at INR 175 for 100 ml bottle. 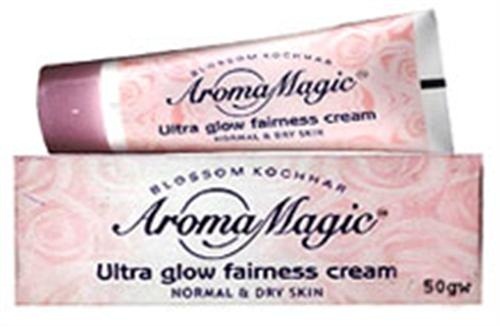 Aroma Magic Ultra Glow Fairness Gel not only helps to brighten the skin tone it also works as a good Aroma Magic Sunscreen for oily skin. This fairness gel has effective sun protection properties and also prevents darkening of the skin. The tube is cheaply priced only at INR 29. This Honey and Shea Butter Body Lotion from Aroma Magic serves dual functionality by rendering the skin soft and also safeguarding it from harmful UV rays. It is formulated with SPF 25 power and is ideal to prevent sunburn. The price tag is INR 225 for 220ml bottle. Say bye to problem of sunburn now and step freely out without the fear of harming your skin. Stay beautiful in all seasons. How To Be More Loving? 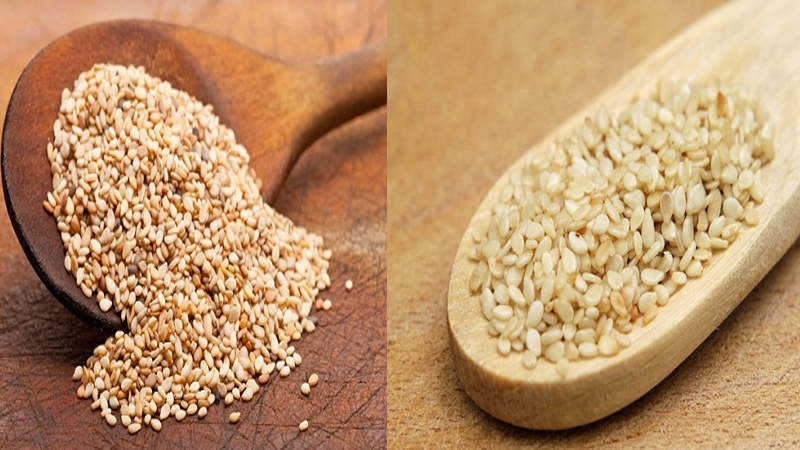 Sesame Seeds During Pregnancy – Safe or Not?